Do you want to search for repairs happening in your store? 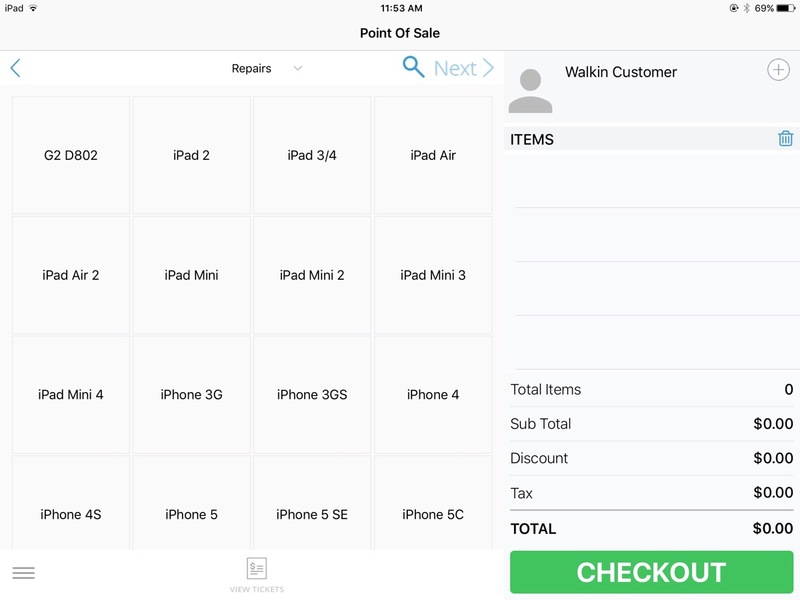 iPad App makes it super-fast and easy for you. You can search using different filters. 1. When you open your iPad App you would see following POS screen. Now you can search the repairs of your store based on name, status, employee and date. In the field of name you can enter any name of the customer, in status you can select from the dropdown menu, under employee tag you can select the name of the employees working in your store and in date section you can enter any date. You can search on the basis of either one key or you can even search on the basis of multiple tags. Please note that you can search on the basis of Name, Status, Employee and Data by clicking on respective tabs. If you have selected a serach criteria in one tab then it will narrow down the search in the other tabs. For example, let us suppose that Store A has 55 tickets out of which 30 are completed. Now, if I click on Status tab and enter completed status only 30 tickets will show up. 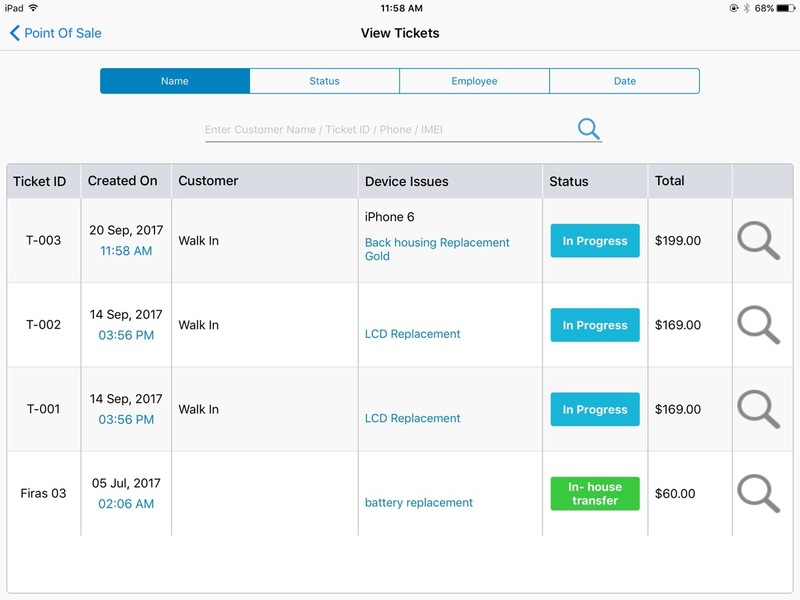 If Josh had 11 completed tickets assigned to him then if I select Josh from Employee Search tab, now iPad app will display only 11 resultes with employee josh and status set as completed. In order to view all ticket you need to clear all searches.